Welcome to our world! We specialize in Something For Everybody. We really enjoy collectibles, especially china, collector plates, mugs, pottery, cookbooks, crystal, glass, tins music, movies, Christmas decorations and a lot of stuff in between. We love the thrill of the hunt and prowl estate sales, yard sales and thrift shops looking for those dream items you like. Please check out our More Booth Details link on my booth's main page to learn more about how we do business. Keep in mind we always offer shipping discounts with multiple item purchases and choose the most cost-effective USPS shipping method. USPS Priority Mail is our primary shipping method. Books ship media mail; smaller, lighter stuff ships First Class and Parcel Post is used for heavier stuff.. Most things will ship within two-three business days. And we do ship internationally, so email us to get a shipping quote to your country. We accept PayPal, Google Checkout, E-Check and USPS or Wal-Mart money orders for payment. My primary concern is excellent customer service and believe in going the extra mile to keep you happy. We shop too, and always keep in mind. We understand that you sometimes have anxiety when shopping in a booth you donâ€™t know. Other folks felt the same way initially. But check out some of the feedback I received while selling on another site and the excellent feedback and recommendations we've received (see below) while selling on Bonanzle. Caps were used by my very satisfied customers. What A Great Ebayer! Shipped Instantly! Packed Nicely! Perfect Item!!!! Thanks! VERY SATISFIED WITH JACKET & SERVICE - THANK YOU! Great transaction - would buy from again!!!!!!!!!!!! THE BEST SELLER ON EBAY!!!!! So c'mon in. I'm always adding new stuff. Stop by often for updates. Thanks for your visit! 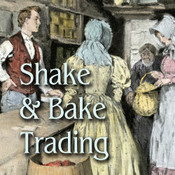 Shake&BakeTrading doesn't have any items in their booth! John knows how to put the customer first! Friendly helpful people that always go the extra mile. I bought a chaps jacket from them and it was a pleasure to do business with them. They were very polite and professional. They didn’t waste any time shipping my jacket. I look forward to doing business with them in the future. I had the pleasure of finding what I was looking for for a long time. 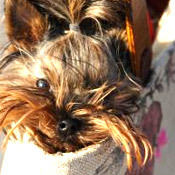 They were very helpful during the process before during and after buying and paying. The transaction was very, very, VERY pleasant AND super fast (arrived in Europe in only a few days!). I certainly would buy from them again. These folks take great care to make sure that you are happy with your purchases. The shipping was efficient and very well packed. The three books that I purchased were exactly as described in great condition and a personal note is always a nice touch. Not to mention, they are very, very pleasant to deal with and all around nice folks. I would buy from them again.